Push notification advertising is one of the best ways to reach out to potential customers in a less intrusive way. But one of the major challenges most online marketers face is how to find a trustworthy push notification ads network that actually provides real returns on your investments. In this MegaPush review, I’ll be sharing with you the outcome of my research and my opinion about MegaPush advertising ads network. This MegaPush review is a sponsored post. But regardless of that, most of the information in this review is based on the outcome of my personal research. I did signup on their website to understand the Pros and Cons before writing this MegaPush review. So, my obligation to the reviewee is to write a review about their ad-network and publish it on my website. 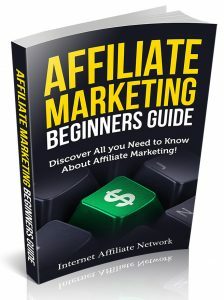 This content does not include any form of affiliate links or referral links. What is MegaPush advertising all about? Conclusion of the review, and my Opinion about MegaPush. MegaPu Frequently Asked Questions – FAQ. As an online marketer, I’m sure you’re familiar with push notifications? Let’s face it, push notifications are quite hard to ignore. They are less intrusive to the audience (the device user), and sometimes are hardly being blocked by ads blocker. Despite the points made above, push notifications are still under-utilized. Because only very few online marketers know how truly effective this type native advertising is. MegaPush Review: What is a Push Notification? A push notification is a method of delivering information on devices from an application server. Generally, the push notification was designed for an application or OS updates on devices, but thanks to the creative minds in the ads industry, now you can also use it to promote good offers to consumers. If you’re using a smartphone, then I’m sure you are more likely to have come across a push notification on your phone. Basically, they are the messages that pop-up on the home screen of your devices whenever you have a new update. The updates can be such as; software updates, transactional update (purchases), offers, system generated alerts and much more. There are lots of benefits in using the push notification. Advertising with push notifications will make your ads far less intrusive than the other types of ads. Currently, 95% of the applications you download on your smart devices are already using push notification to provide you with the product related updates, promote their products and offers. Starbucks is one of the many companies that have fully implement and are utilizing push notifications in their mobile apps. And that alone is believed to be helping them in getting a significant increase in sales. You can find one of Starbucks quarterly results here. Aside from Starbucks, practically every app these days now use the push notification to boost their sales or notify users of new updates. So, you can’t really ignore the power behind push notification advertising. Anyway, I guess I’m already going off the scope of this MegaPush review, I’ll have to write a full detailed article about push notification and my opinion about the ad-format. In the meantime, let me get back to the main point of discussion. Push notification is one of the best native ads to use in reaching out to a targeted audience. According to a recent research conducted by a brand digital engagement agency; the report states that 48% of mobile device app users end up making a purchase after they’ve received a push notification. You can read the full report here. MegaPush is a native advertising network that delivers their ads through the use of the push notification technology. The ad-network was founded in 2018, which makes it relatively new in the industry. But despite being new in the advertising industry, these guys are really gaining ground with the push notification advertising. MegaPush review: Who is MegaPush for? MegaPush is practically for any type of advertisers that wants to use native push notification as a means of advertising to reach out to potential customers. As an Advertiser; what can you advertise with Push notifications? Push Notifications is basically an ad format that works across most smart devices, and you can practically use it to advertise any type of products or services. Also, if you’re promoting CPA offers, push notification will be a big game changer for you. Simply because it’s less intrusive and the level of conversion is quite higher if compared to other native ads. Interestingly, you can promote any types of products with MegaPush as long as it’s a legit product. They do allow products ranging from; Sweeps, gambling, dating, online business opportunities and much more. Like any other company, MegaPush does have both its own advantages and disadvantages. Although, at the time of writing this article, there are quite a few Pros and Cons about this ad-network at the moment. Their support system is quite responsive and is available 24/7. As previously mentioned; I can’t really fault these guys at the moment because they are still relatively new. Getting started with Megapush is quite straightforward. All you will need to do is to click the signup link, answer the required questions and submit it (see the image below). Once you’ve finished signing up for an account, you will be redirected to a page that contains the platform’s rules. Read through the rules, get yourself familiarized with the platform and start creating your own campaigns. One of the big plus with MegaPlus is that they have one of the lowest CPC (Cost Per Click) rates in the industry. It’s as low as $0.001 per CPC. MegaPush advertiser’s dashboard is quite user-friendly, simple, intuitive interface and easy to navigate. To be honest, I did not expect to find their dashboard to be that detailed. I guess I kind of judge them based on the fact that they’re still new in the industry. Well, I must admit that I’m impressed with what I saw. Seriously, I might have to create a video about this ad-network, but I’ll prefer to do that after I have fully tested the platform with some live campaigns to see how their traffics actually convert. Anyway, with what I’ve seen and learned about them in the meantime, I think their ad-network is worth giving a try. The process for setting up a new campaign on MegaPush dashboard is more self-explanatory on the page (see the image below). All you need to do is to follow the required process by filling in your preferences including your budget, bidding and target preferences. Once you’ve completed the required process and you’ve added your creatives for the ads, then your campaign will start immediately after it’s been reviewed and approved. Basically, your campaign can either be approved or rejected. If approved, then your ads will start running based on the settings you’ve added during the setup process. But if your campaign is rejected, there are chances you’ve violated one or more of their rules. All you have to do is to double check your campaign, fix the violation flagged and resubmit for review. I have no doubt that the brains behind MegaPush ad-network are doing a great job. Although, their ad-network is relatively new. But that been said, I’ve not really found any faults on their platform for now. As I’ve previously mentioned; I still intend to run some CPA offers and other product based offers on their platform. Maybe then I might have a different experience. But for now, they are truly worth giving a try. Here we will be providing you with more information in addition to the above MegaPush review. MegaPush is a native ad-network that delivers their ads through the use of push notification as their means of advertising. What types of advertising does MegaPu platform offer? Currently, they only offer push notification. What is MegaPu Minimum CPC? What creatives does MegaPush accept? MegaPush does accept all types of creatives. To read more about the creatives and with examples included, I’ll suggest you read their ‘Rules’ page for more in-depth details. Which countries are available on MegaPush Network? According to MegaPush; they claim their system provides for all countries. Although, I’ve not fully verified this claim at the time of writing this MegaPush review. What image size do MegaPush accept for their Campaigns? Their standard required image size should be 492X328 or 360×240. Although, their website states that “All sizes are available for use in a ratio of 1.5 times the width of the height”. But I’ll suggest you check with them if you have any other image size in mind. What are the Target Categories available on MegaPush Network? You can target categories such as; countries, cities and device Operating Systems (OS). And also, you can target both mobile and desktop devices with this settings. What is MegaPush Required Minimum Deposit? Depending on the payment method you choose, their standard minimum account required is a deposit of $100. Is it possible to withdraw my funds from MegaPush? No, they don’t allow withdrawing of funds. You can only use your balance to run your ads. Does MegaPush have a Referral Program? Yes, they do have a referral program. You can read more about their referral program from their website. What Technical Support does MegaPush Provide? Sat and Sun from 08:00 – 00:00 (+3GMT). Hope you’ve found this MegaPush review helpful? If yes, please feel free to share your comments below.